In recent years, direct-to-consumer sales of mattresses have been growing - and so have the types of mattresses available for sale. In this review, you'll learn the differences between Tuft and Needle vs Casper, as well as which of them is most appropriate for your sleeping needs. What Is Tuft And Needle And How Is It Made? Tuft and Needle is a two-part polyurethane foam mattress. The top layer is 3 inches thick and has a density of 2.9 pounds per cubic foot (PCF). This is a bit denser than many types of memory foam, but density is not directly associated with firmness. Instead, this thickness determines its overall durability - foam can be dense without being too firm. This layer is distinctly darker than the top layer. The creator of this mattress doesn't say what's actually in the material, but some people believe they've mixed in graphite to limit heat retention and provide a cooler mattress. The bottom layer is 7 inches thick and uses a standard 1.8 PCF form. This is actually firmer than the top layer, which is thin enough that heavier users may sink through it to 'land' on the bottom layer. Weight is important to keep in mind when deciding what type of mattress to buy. This mattress is slightly on the firm side, but not excessively so. Some people have described the feel as something between latex and memory foam mattresses - it doesn't really hug or contour, but it doesn't quite bounce, either. The sensation can be odd if you're not used to it, so don't be afraid to return the mattress if you feel like it isn't working out for you after all. 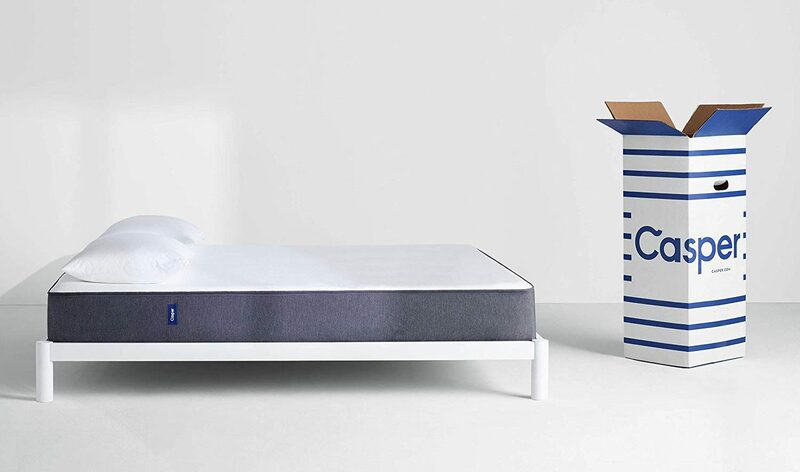 Tuft and Needle offers a 100-night sleep trial and a 10-year warranty. 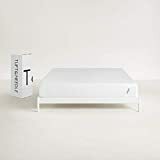 Like many foam mattresses, it's delivered in a small box - 19x19x44 inches - and you may need to let it air out and rise before putting it on your bed. What Is Casper And How Is It Made? Casper is another type of memory foam mattress, and it's considerably more complex than the Tuft and Needle. Unfortunately, Casper doesn't provide the densities of their form (or didn't when we checked, at least), so we can't give you that information. What we can do is explain the layers. The top layer is 1.5 inches of responsive poly foam. This layer's emphasis is on providing comfort, cooling, and a general sensation of bounciness. As the primary layer you'll be in contact with, its overall feel is the main reason it's used. The next layer is also 1.5 inches deep, but it consists of higher-density memory foam. This part of the mattress is designed to offer pressure relief and contouring, allowing it to conform to the shape of your body. Most people will sink through the top layer, and that's on purpose - it's intended to provide cooling and comfort, not support. The third layer is 1.5 inches thick, just like the first two, and acts as a transitional layer to soften things. Like the top, it's made of poly foam, but there's otherwise nothing especially notable about it. The bottom layer is 5 inches thick and acts as the main support for the mattress. Most people won't sink more than four and a half inches into their mattress, but the thickness of this layer helps reduce the feel of whatever support is beneath the mattress and provide a better overall rest. 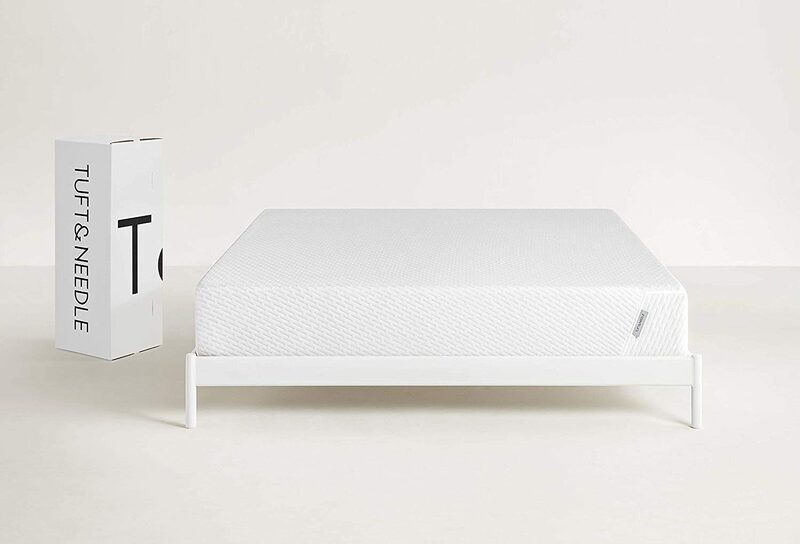 Like the Tuft and Needle, Casper offers a 100-night trial with a full refund if you don't like it. Used beds will - if possible - be recycled or donated to a charity. The main thing that sets these mattresses apart from their competition is their choice of materials - and the way those materials are stacked. Having layers in a mattress isn't anything new, but both of these companies have taken it to the next level with their attempts to find the right combination of comfort, cooling, and support. Tuft And Needle offers mattresses between $$ (for a Twin) and $$$ (for a King or California King). These prices are largely standard across the internet - when we checked on Amazon, they were selling for the same price. The manufacturer may be imposing standard prices on the products. Casper mattresses are more expensive, starting at $$ for the Twin and going up to $$$ for a King or California King. Like T&N, these prices are fairly standard, and you're likely to see them in other stores as well. This does not include the cost of sheet sets, which are available for an additional cost at some stores. Given the similarity in pricing between different stores, we recommend buying based on other factors like ease of customer support. Notably, many retailers are willing to offer payment plans on products. Amazon was offering 5 monthly payments (between $119/mo and $239/mo), while Casper's official site had an offer for as little as $33.06/mo for 18 months. It's not really necessary to take advantage of payment plans, but they are available if you want them. Just be sure to pay them off by the last payment period fully, or you may find yourself subject to significant fees. Using these official payment plans is more affordable than using a credit card. Most sellers offer free shipping on these mattresses. Since they're sold by internet companies, you may not be able to try them in a store before you buy them. Pricing Note: All prices were taken from the manufacturers' websites on 7/23/2018 and may have changed since this review was uploaded. Tuft and Needle is generally received well by most of the population, and in the debate of Tuft and Needle vs Casper, it comes off as the better of the two. When we checked on Amazon, it had an overall rating of 4.2/5 after 6,610 customer reviews. That is a truly massive amount of evidence to draw on. 85% of the reviews were positive, 5% were neutral, and 10% were negative. Positive reviews cited it as being comfortable and supportive, while negative reviews mentioned that the mattress didn't last as long as they'd hoped. This is an excellent place to check if you have any questions about the mattress. Most possible questions have already been asked (and answered) on Amazon, and most of the information comes from the seller or from people who bought and used the mattress. Mattress Clarity put it a little higher than the average of the masses, with a final score of 4.4/5. They were most impressed by the value of the mattress, the reputation of the manufacturer, and the overall return policy and warranty. They were less thrilled with the comfort and the edge support. Note that most memory foam mattresses have little or no edge support, which is relevant for some sleepers. Sleep Advisor put the mattress in a similar range, with a final score of 9/10. They liked the support and comfort, but just like Mattress Clarity, they weren't as impressed with the edge support. Foam mattresses rarely give you the feeling that you're going to fall off, even when you're close to the edge, but the lack of a firm stop can be an issue if you roll around in your sleep. Like the Tuft and Needle, Casper's mattresses are received generally well - but in the debate of Tuft and Needle vs Casper, it's not quite as well-received. Amazon gave it a final score of 4.1/5 after 745 reviews from customers, making it slightly less popular than its cheaper competitor. It's worth noting that the review spread is a little more negative than the .1 difference suggests - only 70% of Casper's reviews on Amazon are positive, while 22% are negative and 8% are neutral. That's a pretty big shift from the T&N. The biggest complaint here was how fast the mattress wears out. Many reviewers noted that Casper's mattress was worn out within 1-2 years. Several other reviewers noted that the mattress is extremely soft, with edges that collapse from something as simple as putting sheets on them. We'd also like to note that many of the positive reviews were from short-term owners who didn't have time for the mattress to wear out. Despite the comments on Amazon, other reviewers found a lot to like with this product. Mattress Clarity gave it a final score of 4.6/5. They were most impressed with the return policy, the comfort, and the manufacturer's reputation. They were less fond of the edge support, which - just like the Tuft and Needle - was largely absent. That's endemic to foam mattresses, though. They also noted that it only comes in medium firmness, which is softer than much of the population prefers. Sleep Advisor offered a better score, with a final opinion of 9.4/10. They were quite pleased with the quality of the materials and the comfort of the mattress but didn't like the lack of edge support. Users on Sleep Advisor had a slightly lower opinion, placing it at 9.1/10 instead. These reviewers had a significantly worse opinion of the trial and warranty but felt it was better in value than the editor did. 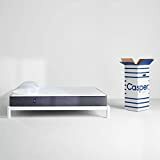 Overall, what these reviews tell us is that the Casper tends to be a pretty good mattress at first, but it degrades faster than most people are willing to accept. Long-term, people are much less satisfied with it. The Tuft and Needle is easily the better of these two mattresses. With better reviews, a better review spread, and a lower price, it's superior on effectively every level. As you've probably guessed from the previous section, we think the Tuft and Needle mattress is ultimately better than the Casper. Several factors led us to this decision. The biggest factor was the spread of reviews, which were significantly better for the T&N than the Casper. A spread of 85% positive reviews is good for any product, but it's particularly good for mattresses, which people tend to judge harsher than most other products. There's a good reason for that, too - when you're spending a third of your life on something, you want it to be good. We were also impressed by the better pricing T&N managed to offer while maintaining a high-quality product. $700 for the largest bed isn't cheap, exactly, but it's still far more affordable than many other mattresses of similar size and consumer reviews. That said, we'd like to add that the Tuft and Needle isn't for everyone. Heavy sleepers are the most likely to sink through to the less-comfortable base, while the fact that it only comes in medium firmness is a problem for anyone who wants a particularly soft or firm mattress. When it comes to mattresses, being in the middle isn't always ideal. As such, we recommend trying several types of mattresses in a store - figure out what firmness is best for you, then start shopping. Unless you need a mattress as soon as possible, it's worth taking the extra time to be sure your mattress is right. Deals and discounts on both of these products seem limited to the manufacturer's preferences. While there were no active deals at the time we looked, we did find evidence that discounts were available for holiday sales. If you're trying to save as much money as possible, it may be best to wait for one of their sales to go live. If you need a mattress sooner instead of later, go ahead and order from your retailer of choice. Remember, many sellers offer payment plans that can bring the per-month cost of your mattress down. We strongly recommend using these if they're available. If the mattress doesn't work out for you, being on a payment plan means you won't be out as much money while you work to return it. According to reviewers, Tuft and Needle's customer support is generally better than Casper's - another factor to keep in mind.